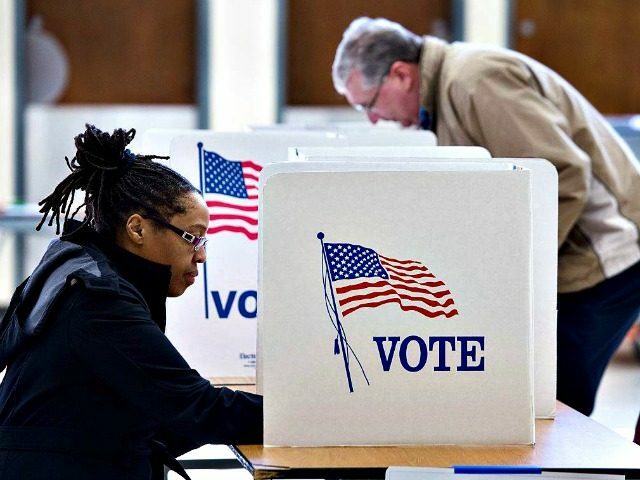 GOP Midterm Voters: Immigration Biggest Priority, Taxes One of Least Important Issues Facing U.S.
2 May 2018 Washington, D.C.
Likely Republican voters say immigration and national security are the two biggest issues facing the United States, while taxes are one of the least important issues. The latest Harvard-Harris poll reveals how out-of-step the Republican establishment’s plan to run midterm campaigns on tax reform — rather than wage-boosting cuts to immigration — is with their own base of supporters. For example, when asked to rank the biggest priorities for the U.S., 47 to 40 percent of GOP voters say immigration and national security are the leading issues in their opinion. Meanwhile, only 11 percent of GOP voters said taxes were the most important issue in the country, ranking lower than more obscure issues like school safety and defense spending. About 45 percent of President Trump’s supporters say immigration is the most important issue in the country, while only 11 percent of Trump supporters say the same of taxes. The poll is just the latest data showing the widespread support for Trump’s “America First” agenda on immigration that seeks to raise American workers’ wages by reducing legal immigration levels. Despite GOP voters saying their biggest issues in the upcoming midterm elections are immigration and national security, the Republican establishment — led by Vice President Mike Pence, the billionaire Koch brothers, and House Majority Leader Kevin McCarthy (R-CA) — have attempted to run midterm campaigns on the issue of taxes. As Breitbart News reported, Trump has refused to sign onto the campaign-on-taxes midterm plan, instead, sticking to his populist immigration and trade agenda in recent campaign speeches.